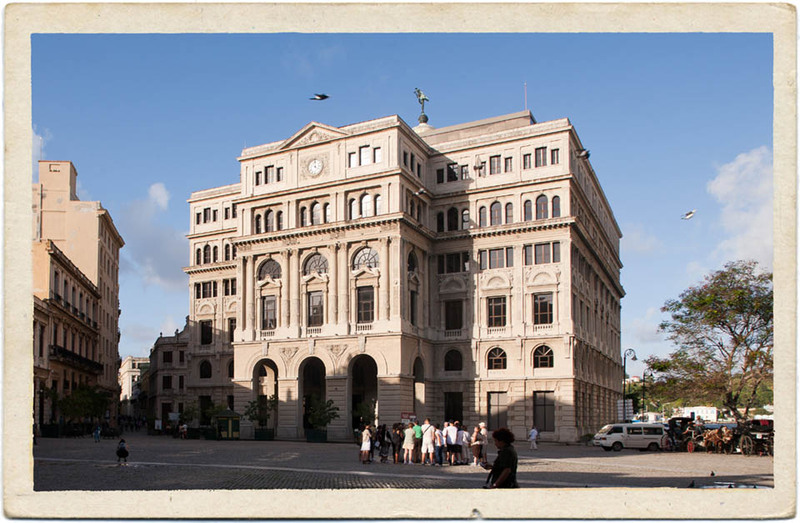 The Produce Exchange building in Old Havana. Notice the addition to the top floor now hides the dome. 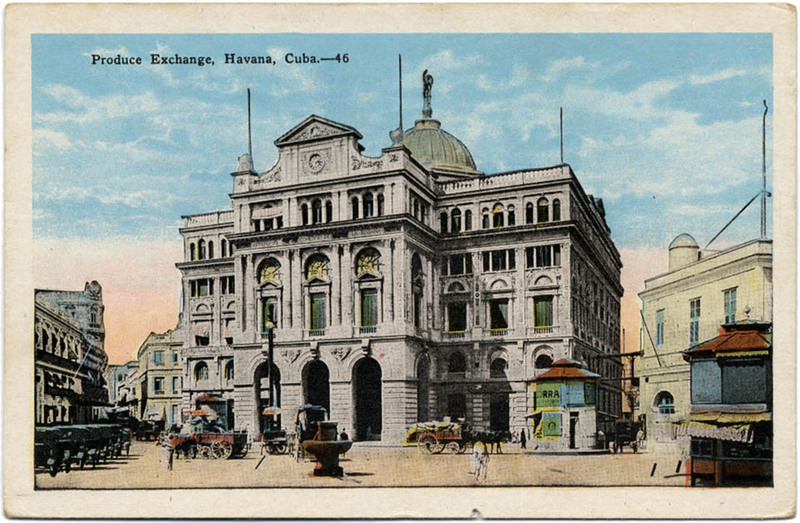 The back of the postcard reads: “Havana is the second largest port in the Western Hemisphere, being exceeded only by New York in tonnage. Cuba, brezze-drenched, palm-fringed, a fitting setting for gemlike Havana, alone can produce the wonderful aromatic herb, Havana tobacco”.